DAVID LE/Staff photo. 6/3/15. 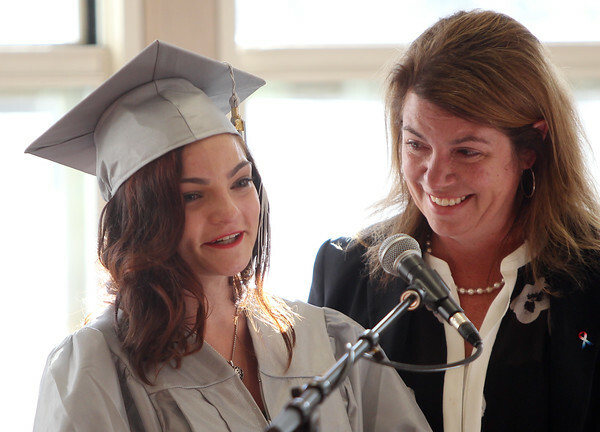 North Shore Recovery High School graduate Sarah Cooper smiles as she thanks her parents and is proudly supported by Recovery High School Principal Michelle Muffet-Lipinski.